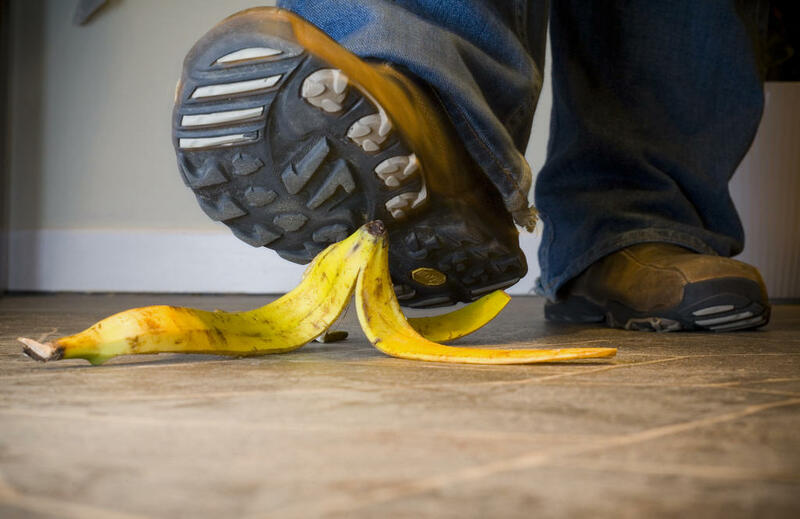 Have you ever wondered about the physics of slipping on a banana peel? How about the Marxist interpretation of people's fascination with Duchess Middleton's posterior? No, really? What about the incidence of human injury and death by being crushed by a vending machine? Well someone has wondered, researched and published studies on all of these questions. And chances are, while you hadn't wondered about any of these things before, you kind of do now? And that is the point--for Marc Abrahams anyway. Abrahams is editor of the Annals of Improbable Research magazine, and he has highlighted all of the above examples in his regular column for The Guardian. Through humor, Abrahams hopes to reconnect science with people. First they laugh and then they think, he hopes. The friction study on slipping on banana peels won the 2014 Ig Noble award for physics, which celebrates the strangest research being done. We walk through the world of the improbable, and at times, absurd, with one organization of the popular Ig Noble awards. This award program is celebrated every year at Harvard University and carried by some National Public Radio stations across the country. The 2014 World Cup raised the hopes of the disabled and redefined how people look at technology when a paraplegic man named Juliano Pinto, who is completely paralysed from the lower torso down, used a mind-controlled robotic exoskeleton to perfrom the ceremonial first kick. That robotic suit, which caught the world's attntion at Sao Paulo's Corinthians Arena in June, may end up redefining how we think about humanity. What role does our sense of touch play in our lives? According to Johns Hopkins neurobiologist David Linden, it impacts a large range. Our health, relationships, romance, shopping purchases, and even language have all been shaped by our fingertips.